There are many options for business owners when choosing the best commercial air conditioning units. 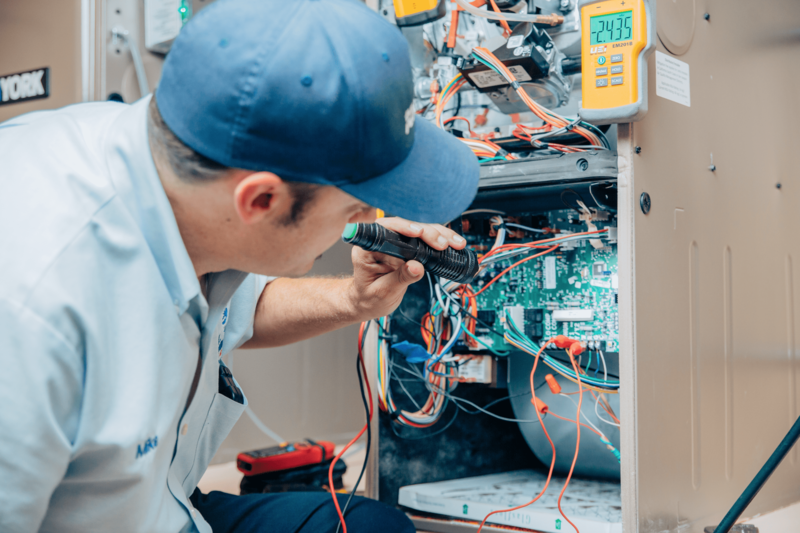 Many times, business owners and facility managers begin researching air conditioning units by brand, and while there are some top-notch brands, at Bill Howe Heating & Air, our specialists know that brand is only one piece of the mix. Most manufacturers remain competitive by offering comparable warranties, have high-quality standards, and build units to last. When looking for the best air conditioner for your commercial property, it is important to consider many factors. Water cooling air conditioning systems operate differently than traditional type units by way of how they “cool” the air. Where traditional coil condensers cool the air as it passes through the refrigerant cooled coil, water cooled systems use a cooling tower. The heated air passes through the water condenser and then circulates into the building; the warm water is moved to the cooling tower. A benefit of a cooling system using water is a higher efficiency system, but it does require a constant water supply. In areas where water conservation is critical, this can be a drawback. Water-cooled systems also require that the water reign used is treated to avoid bacteria buildup and contamination. Maintenance requirements for a water-cooled system versus traditional air conditioning will be more frequent and often costlier. 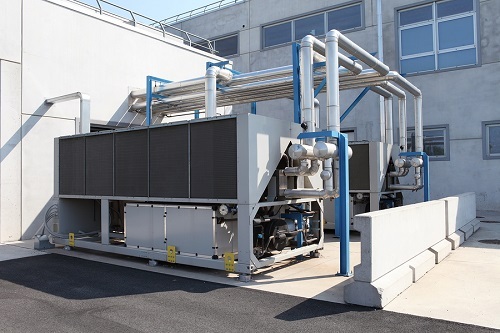 A water-cooled system is often quieter than air condensers and is often favored in hospitals and schools. It is usually less expensive to install a water-cooled air conditioning unit, but water use and maintenance may offset costs. Choosing between a water-cooled system and a traditional air-cooled unit comes down to the application and building design. The benefits and drawbacks, along with costs, tend to come out even after all things considered. 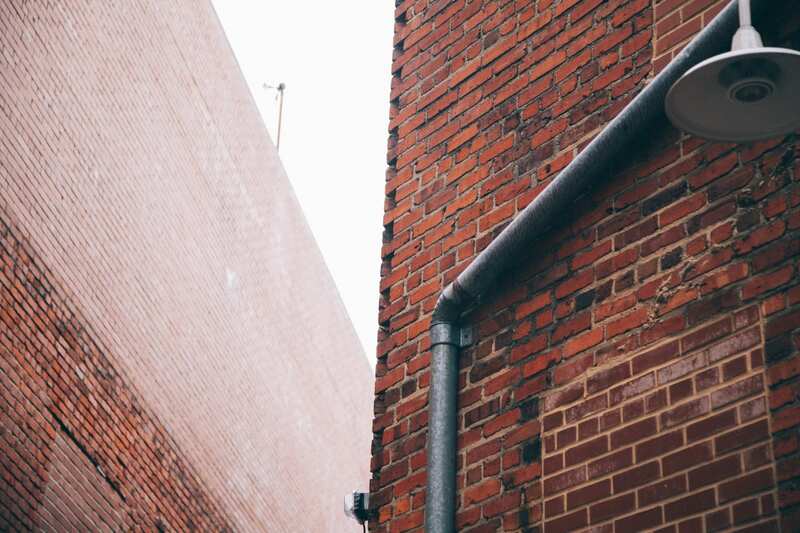 Just like in a residential setting, ducted systems have an indoor heat pump, outdoor compressor, ducting throughout to deliver the conditioned air, and use a refrigerant and a coil system to deliver cool air. Traditional air conditioning systems are compatible in commercial spaces as well. Choosing a traditional air conditioning system versus other types for commercial purposes really depends on the space size and cooling needs of the building. Ductless air conditioning systems are great options for both residential and commercial applications. Because ductless mini split systems can be easily installed in spaces without ducting, they make wonderful options virtually anywhere. The commercial ductless applications have the same great efficiency and zone control as residential applications as well and provide a high-efficiency cooling solution. Ductless mini splits are the best commercial choice for multiple zone buildings, green buildings, and even smaller spaces where cooling is a must, but space is limited. VRF systems operate much like ductless split systems. VRF allows the refrigerant flow to adjust to each indoor unit, with multiple evaporators and condensers, all utilizing a single outdoor condensing unit or heat pump. VRF systems provide significant control to indoor temperature throughout larger spaces while also operating at a higher efficiency using less energy. With the variable refrigerant and control, it is also possible to provide heating and cooling within the space simultaneously. VRF systems have been successfully used for larger building; however, they are limited and would not be ideal for larger manufacturing type spaces or industrial buildings. Because of their higher efficiency and control, consumers may see a lower operating cost than with traditional ducted systems or package units; however, the initial installation cost for VRF systems will be higher. VRF systems require more time and materials, and the initial cost is sometimes a factor in choosing to go with a traditional type of air conditioning unit. A package unit houses both the heating element and cooling all in one. Most often seen installed in warehouses, package units are installed on the roof. Package units are great options that make maintenance and installation easy and are often less expensive than a traditional split system. Package systems can also be found in many condominium complexes. Type and brand of a new commercial air conditioning unit will not mean anything if the system is improperly sized. When getting quotes, make sure that the commercial air conditioning contractor does a thorough analysis of the building size, space layout, needs and operating costs. Systems should not be sized by square footage alone. Just like properly sized systems, the layout of the building and configuration of the system design is integral to an efficient and cost-effective cooling system. Estimators will look at the ductwork layout (or design this for ideal cooling), indoor air handlers, if going ductless, and many other factors when designing the perfect HVAC solution for your commercial property. 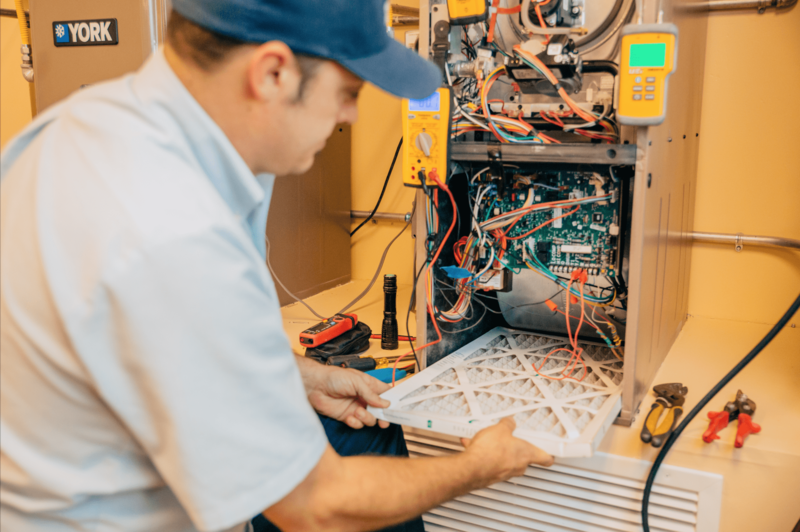 Installation quality is one of the most important factors customers should consider when installing a new air conditioner, whether commercial or residential. Poor or subpar installation work will be the difference between an optimally performing system and a system that will require service and repair throughout its lifespan. Business owners and facility managers should research each contractor and make sure that they have commercial specialists with at least 5 years of experience and references within the community. When getting estimates, ensure that the estimator is spending at least an hour, or more, determining the cooling needs for the building and its occupants; contractors that will do an excellent job will ask questions and tailor the system directly to your needs. Bill Howe Heating & Air Conditioning has been providing quality installations in San Diego for over a decade. 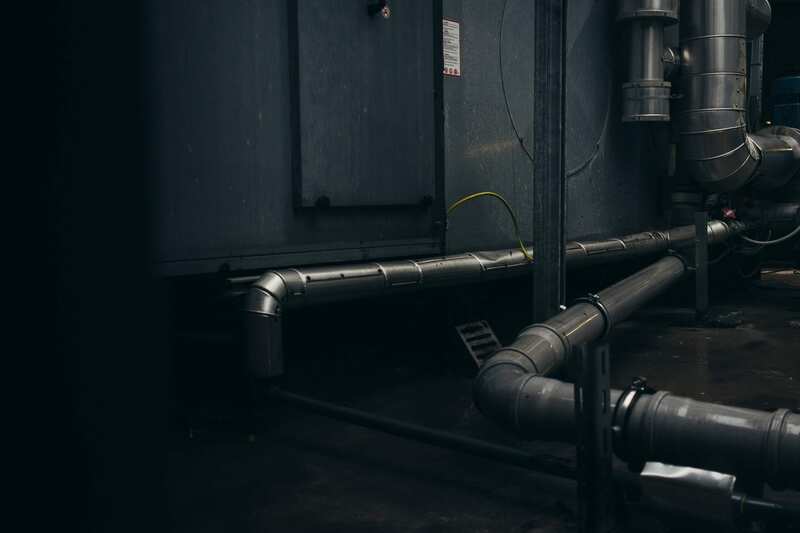 With over 40 years of experience within the team of specialists, commercial clients can rest assured that all of their cooling needs will be met and recommendations for the best commercial air conditioning units will not be the right choice. Call 1-800 BILL HOWE (245-5469) today, for your free installation estimate.